getcalc.com's OHM's Law Calculator is an online electrical engineering tool to find relationship between voltage (V), current (I) & resistance (R) in electrical circuits. OHM's Law, named after its inventor George Ohm, states that the electric current is directly proportional to the voltage and inversely proportional to resistance. 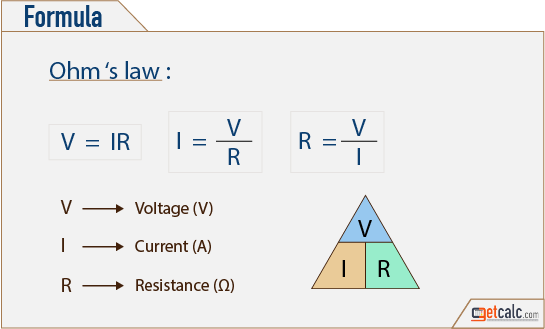 In other words, it shows the relationship between voltage (V), Current (I) & Resistance (R).